Runway Renegades takes over Riverside Place Saturday. Things have improved a lot over the years for the motley crew of designers who spend several months each year creating one-of-a-kind collections for the annual Runway Renegades fashion show. "When we had it at the Garland block party, my cousin happens to live two blocks from Garland, and we would take over her front yard and backyard," says show creator Ronnie Ryno. "We used to have port-a-potties delivered to her house, and there's girls stripping in the yard." "Trying to stay behind curtains," adds organization treasurer Kat Warnock. "It was quite the show." After graduating to larger venues, such as Northern Quest Resort & Casino and the Spokane Convention Center, this year will be the first time that six design teams show off their labors of love at Riverside Place (the old Masonic Temple building). "The convention center was nice, but you rent a big beige box basically, and it's hard to give it character," Ryno says. "[Riverside Place] has got such beautiful ambiance and it's already got a cool vibe to it." This year marks the show's 11th, and the first that Ryno won't be showing a collection of her own. She originally created Renegades because she wanted a place to show her work but couldn't find any local shows that only focused on unique, local designs. Most shows featured department store clothing and off-the-rack items. So she made her own show. In the years since, with the hard work of models, photographers, accessory and clothing designers, hair and makeup artists and the slew of other creative people it takes to put together the show, it's grown into one of the best in the region, participants say. "Although our fashion community is somewhat of a microcosm and our area is small," says Oona McGuinness-Fischer, an accessory designer, "it's kind of the general consensus we put on a bigger and better independent fashion show than what's going on in some larger metropolitan areas." That's thanks largely to a major focus on production quality, Ryno says. The group works very hard not only on their unique collections, but also on music and sound quality, lighting and the general staging of the event. One of the designers who applied to be in the show for the first time this year is Brianna Engle, whose collection "A Walk in the Clouds" will show off her hippie, flowy style. "A lot of my stuff is a mix of like '70s with boho-chic," Engle says. "It's like a jazz festival in the clouds." One top she'll debut is centered on a bullhead skull print, with sparkling green hand-beading that took her about 100 hours to do over the last three years. On her team is Niki Zacherle, who is both her accessory designer and one of her models. One of the pieces Zacherle is most excited for will come with a statement about its cultural appropriateness. "It is a headpiece and it does have feathers, and I don't want people to mistake it for a headdress," says Zacherle, a member of the Confederated Colville Tribes. "It wasn't made as intended to be a sacred item or for a ceremony, so none of the feathers used on it were eagle feathers or hawk feathers." But she does hope the piece, featuring peacock feathers that don't have the commonly known eye pattern, as well as an elk skull, will shine a light on poaching. The skull came from an elk that was left dead with only the antlers taken from it. "It is gonna be not just a runway piece but a radical statement, too," Zacherle says. "Something that was taken for its beauty is being reclaimed and brought back into the light." 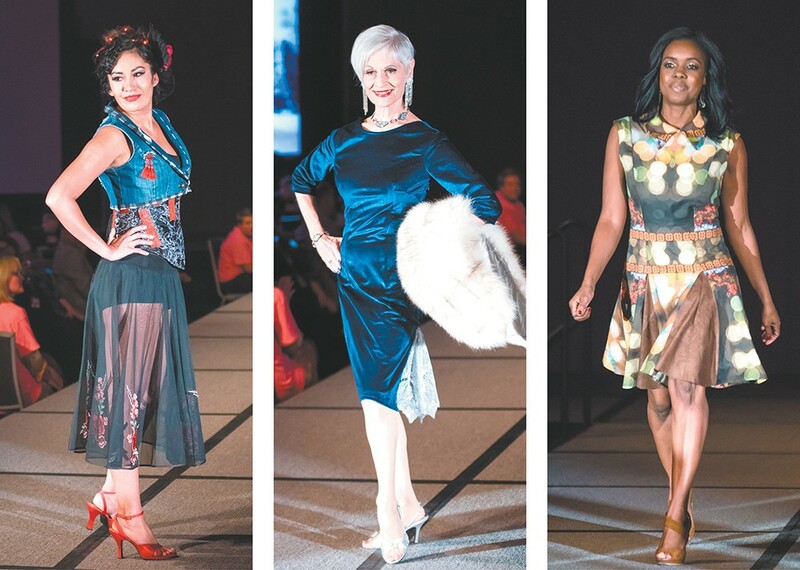 While the show itself is a major artistic outlet for the local fashion community, Runway Renegades has also become an official charitable nonprofit, with all ticket sales going toward grant money for local artists. 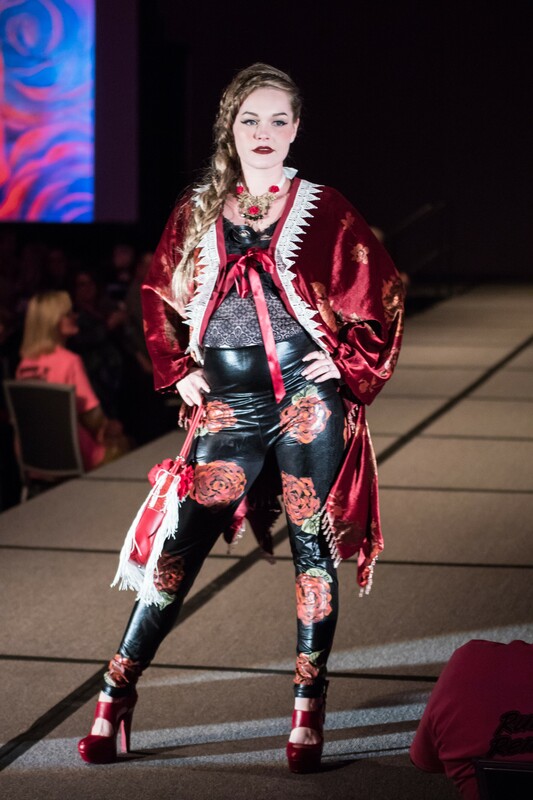 Last year's funds went toward grants and scholarships that helped a local pet clothing designer, a student interested in design, a filmmaker, and one of this year's designers, Gianna Rose Reynolds, who put on another mixed-media fashion show earlier this year. She'll be showing an updated version of that collection, dubbed Nooskool 2.0, at the event. In return for the grants, recipients volunteer to work with underserved and at-risk youth and the organizations that benefit them. The original print version of this article was headlined "Riverside Renegades"